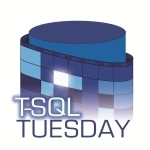 This Month’s T-SQL Tuesday is hosted by Jeff Mlakar, and he has asked for us to tell the tale of a project that went horribly wrong. This will be short, but it’s one of my favorite stories of a project that wasn’t totally thought through. I (thankfully) wasn’t part of the team for this, but the way word spreads in IT, my group heard of this, and we were shaking our heads in disbelief very quickly. I took a different job shortly thereafter, so I never got to experience the results of this project. But I don’t believe there ever were any. I’ve kept in touch with former co-workers and none of them are aware of any custom file systems in use. Thank you Jeff for hosting this month’s T-SQL Tuesday! If you’d like to help out and host one, contact Steve Jones.